A little late to the party as usual, but today was the day I finally caught up with Godzilla, Gareth Edwards’ leap in to the big time after garnering widespread acclaim for his small budget science fiction picture Monsters in 2010. Something many critics praised Edwards for in this first feature was his conviction for focusing on strength of character alongside the bangs and flashes of the special effects he, according to urban legend, rendered mostly in his own bedroom, and that is something that intrigued me with regard to his potential with one of the most iconic film characters of all time. Could the big lizard be given a personality other than the building smashing, people breaking whirlwind of devastation that we have come to know so well? The answer to that question is, undoubtedly, yes. The beginning sequence takes the audience on a breakneck tour of the history of the mysterious creature via the use of newspaper headings and ‘archive footage’, leading up to Japan in 1999, where a seemingly ‘natural’ disaster tragically alters the lives of Joe (Bryan Cranston), Sandra (Juliette Binoche) and a young Ford Brody (CJ Adams) forever. Cut to fifteen years later, and Ford (now Aaron Taylor-Johnson) is a recently returned naval officer who finds himself back in Japan to bail out and attempt to bring home his conspiracy theorising father. Joe knows that something about that fatal day is being hidden from the public, and more worryingly, the same pattern of events is beginning to unfold, leaving Ford with the dilemma of returning to his wife and child or staying to help his father’s search for the truth. This initial set up is well executed and achieves the right amount of intrigue, but what follows is, perhaps, not what you might expect going in armed with the knowledge of previous incarnations. Godzilla is the title of the film, yet the infamous monster takes a fairly prominent backseat in the bulk of the plot’s proceedings. Centre stage for the majority of the narrative are instead a pair of newly envisioned creatures known as MUTOs (Massive Unidentified Terrestrial Organisms), billed as natural enemies to Godzilla and from this point the film becomes an Alien vs. Predator, Freddy vs. Jason type narrative that leaves the plight of the human race merely a hopeless bystander in the grand scheme of things. Though not at all what I expected, this different take on the Godzilla legend was a rather refreshing one, highlighting the theme of nature being out of human control whilst at the same time tapping in to Gareth Edwards’ talent for injecting personality in to characters. Godzilla, all of a sudden, becomes a sympathetic, almost heroic figure, a far cry from the senseless, lazy depiction of Hollywood’s previous 1998 remake. Whilst Godzilla gets a lot of things right, there are equally aspects of the film that I feel rather more negatively about, the chiefest of these gripes laying within the realms of casting and screen time. Rather annoyingly, the cream of the film’s acting talent is either limited to early catalyst roles or severely underdeveloped supporting parts, namely Bryan Cranston and Juliette Binoche as the Brodys and Sally Hawkins as scientist Vivienne Graham. Without question the best and most enjoyable section of the film is the first twenty five or so minutes in which these three actors are most prevalent, the talent of each performer really shining through and making their characters immediately endearing. Unfortunately, Aaron Taylor-Johnson, charged with carrying the weight of the film after this opening section, is an incredibly underwhelming presence in the role of the human protagonist. For a character whose back story is set up so well in a tight introductory sequence and given the opportunity to become a multi textured, three dimensional figure, Ford instead settles in to a cliched rather flat US navy action man figure. Elizabeth Olsen as his wife Elle fairs no better, her performance comprising of a number of badly acted reaction shots whilst all the time looking far too young to have a five year old child and husband. What the film really needed was a strong male lead to harness the chaos that is taking place around him, and Taylor-Johnson just does not do that. 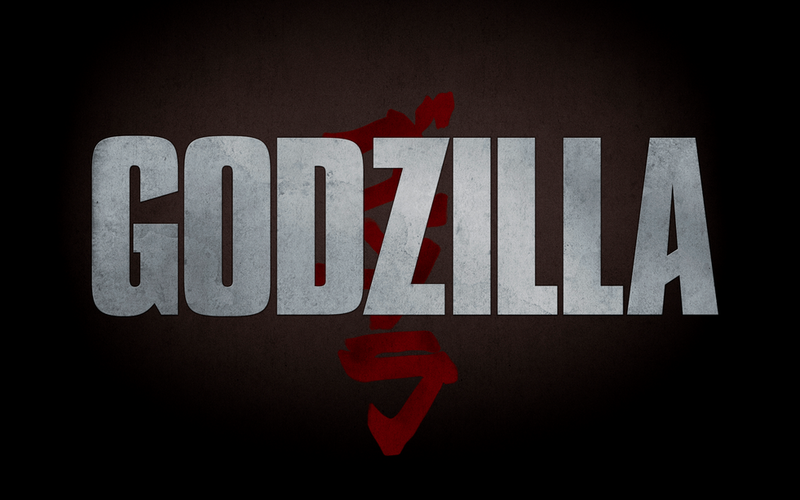 Overall, Godzilla, though flawed, is a courageous and refreshing take on a well worn cinematic legend. The film pays satisfying reverence to the metaphorical roots of the 1954 original and thankfully rejects the brainless monster movie tropes of the 1998 remake. In the interesting direction of the narrative, Gareth Edwards has managed to breath new and unexpected life in to a monster that until now has only been a vehicle for destruction. The film is let down slightly by its underwhelming leading man, but certainly worth a watch for the work of some of the other actors involved and for the impressive action set pieces that more than live up to expectations. Great review, Amy. I liked how Godzilla was used more of a backdrop to the story rather than the central focus, making it more of a disaster movie than monster movie. 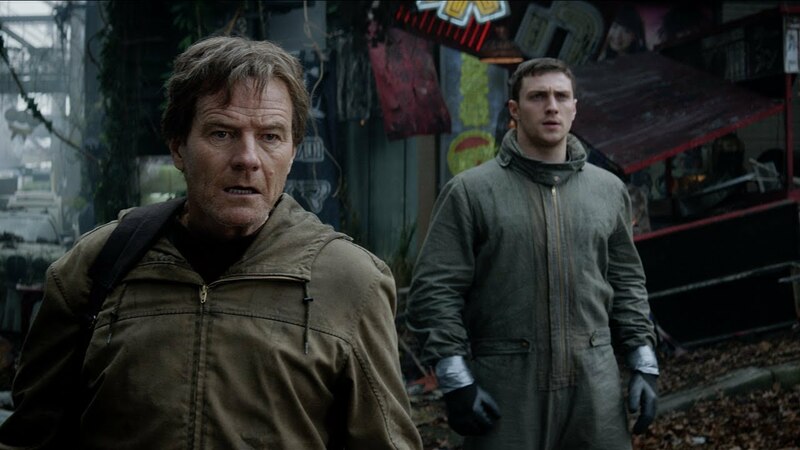 Cranston did an awesome job of carrying the film in the beginning, too bad Taylor-Johnson couldn’t pick it up after Cranston left. Good thing Godzilla showed up to take over for him! I’m seeing it tomorrow so I’ll joking that party soon. Good review. I’m excited. Great review, Amy. We both are very much on the same radar with this one… although my review tends to be a little more negative compared to yours.